The types of sources you use in your research is important. Not all information is created equally. There are better sources for different types of information needs. Knowing how and when information is published along the information cycle can help you select the right type of resource. This tool provides a brief description of each type of source and breaks down 6 factors of what to consider when selecting a source. Sources fall into three main categories, primary, secondary and tertiary. Primary sources give firsthand accounts or direct evidence regarding the event. They are writing contemporary to what is being researched. Secondary sources discuss information presented elsewhere. It is created later, after the event, by someone who did not participate or experience the event. Most scholarly articles and books are secondary sources. Tertiary sources consolidate and summarize primary and secondary sources. For example, encyclopedias and factbooks are considered tertiary (although some may be secondary). Sources are created for different audiences. Sources created by scholars for other scholars are often published in scholarly/peer-reviewed journals. Peer-review is a vetting process a source may go through. The peer-review process involves an author submitting their work for review, then a group of their "peers" (other people working in the same field) evaluate the work for quality and meeting scientific standards. Then the work is returned to the original author for edits. Then the work is (hopefully) submitted and accepted for publishing. The peer-review process is not perfect and academic publishing is highly competitive so problems do occur. You can read about some of the conversations about revising peer-review in the following articles: Scientists Aim To Pull Peer Review Out Of The 17th Century, The Future of Peer Review and When reviewing goes wrong: the ugly side of peer review. In health sciences and medicine, sources also have a level of evidence based on the type of research conducted for the work. The levels of evidence are described in a pyramid with the lowest level of evidence at the bottom and the highest level of evidence at the top. The amount of sources meeting the criteria of these levels decreases as the levels increase so that there are a lot more level VII sources than level I sources. 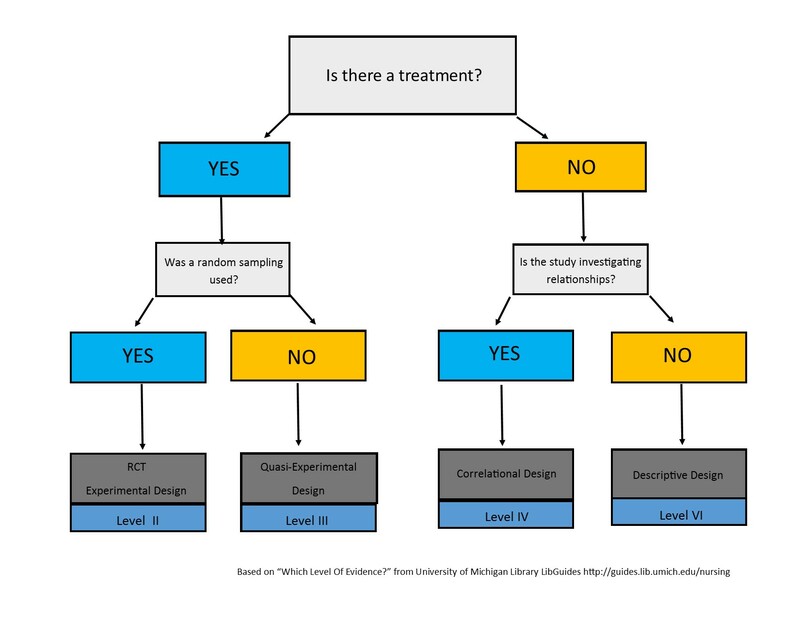 The level of evidence can usually be discovered in the methods section of the article. Some authors will state exactly what type of study the article is about and for other sources, the reader will have to determine the study type. Level I is a systematic review and Level VII is an expert opinion. Another library has created a guide with even more information. Check it out at the link below. << Previous: ...Select a Topic and Make a Research Plan?